Darryl Brooker has been putting his finger prints on the wines of Mission Hill Family Estate since he succeeded John Simes as winemaker and general manager. John remains a legend in Okanagan winemaking. He joined Mission Hill in 1992 and made his final vintage there in 2014 before retiring. Darryl quotes John as saying that 2014 was the best vintage he had experienced in the Okanagan. During his 22 vintages, John was in charge of selecting and planting Mission Hill’s extensive vineyards in the Okanagan Valley. Those properties stretch from East and West Kelowna through the Naramata Bench and Black Sage Road to the Osoyoos East Bench. This cornucopia of terroirs enabled John and his winemaking team to create an extensive portfolio of premium wines. In wine, there is always room to raise the bar, no matter how high it is already. Previously the chief winemaker at CedarCreek Estate Winery, Darryl is rising to the challenge at Mission Hill. Born in Canberra in 1973, Darryl is a graduate of Charles Sturt University in Australia. He has a Bachelor of Applied Science - Wine Science, as well as a graduate diploma from Adelaide University in Wine Business. He made wine at Villa Maria Estate in Hawkes Bay and at Mountadam Vineyards in Barossa Valley in Australia. He came to Canada in 2003 when he was hired to launch Flat Rock Cellars in Ontario. He moved to the Andrew Peller group, working at Hillebrand and Thirty Bench, before joining CedarCreek in 2010. CedarCreek was acquired in 2013 by Anthony von Mandl and put under the umbrella of his holding company, VMF Estates. Darryl was promoted to Mission Hill. Darryl’s touch on the Mission Hill portfolio can already be found in several of the current releases. Among them, Mission Hill’s first single varietal Cabernet Franc, a restyled Sauvignon Blanc, and a single vineyard aromatic white blend. As well, a new source of fruit has enabled him to rework Perpetua, Mission Hill’s premium Chardonnay. The 2016 Reserve Sauvignon Blanc, Darryl says, is “a big change for us in the style of Sauvignon Blanc. And a big change on how John Simes was making it as well. I don’t want it to be New Zealand style but I wanted it to be a little more grassy, so I picked a lot of our blocks earlier than I have traditionally, just to layer in some of those grassy, herbaceous notes. Then I picked some mid-tier and some ripe and tropical, just to get a few more layers in the blend. I wanted to find something that was uniquely Okanagan but sat in the middle” between the New Zealand style and the Loire style. The Jagged Rock Vineyard is a block is at the top of a Mission Hill property on Black Sage Road. The elevation and the aspect make this a comparatively cool site, which accounts for the varieties grown here. The 2016 wine is a blend of 33% Sauvignon Blanc, 22% Semillon, 15% Muscat, 15% Chardonnay and 15% Pinot Gris. The 2015 Perpetua is another big change. Traditionally, the wine was made with Chardonnay grapes from Mission Hill’s Osoyoos vineyard. The 2015 wine contains 25% fruit from Mission Hill’s Naramata Ranch Vineyard. Naramata Ranch, formerly known as Paradise Ranch Vineyards, is secluded at the very northern end of Naramata Road. Mission Hill purchased the vineyard some years ago and, by now, has replanted much of it. The 2015 Terroir Series Cabernet Franc is to be released this spring – the first time Mission Hill has released a solo Cabernet Franc. The grapes are from the Vista’s Edge Vineyard in Osoyoos right against the U.S. border, one of the best properties that John Simes developed for the winery. It was a good call. “It is a big structured Cabernet Franc, which most people don’t expect,” Darryl says. About 625 cases were produced from vines that were 21 years old. Here are notes on some wines in the portfolio. Mission Hill Reserve Sauvignon Blanc 2016 ($20). This is a lively and expressive wine, beginning with aromas of lime and fresh grass. The flavours are intense, mingling notes of lime, lemon, herbs and grass. The finish is crisp; and the flavours linger on the palate. 92. Mission Hill C Sharp Jagged Rock Vineyard 2016 ($25). This small lot wine is available just in the Mission Hill wine shop. It is now sold out but a larger volume will be released from the 2017 vintage. This is a delicious wine. Tropical fruit aromas explode from the glass, leading to flavours of green apple, lime and spice. The wine was deliberately bottled with some natural carbon dioxide and this adds to its delightful freshness. 91. Mission Hill Perpetua 2015 ($50). The wine begins with citrus and apple aromas subtly touched with oak. The fruit is bright, with notes of butter and citrus and a hint of vanilla on the finish. The good acidity portends fine aging ability. 94. Mission Hill Five Vineyards Cabernet Merlot 2014 ($15.99). Five Vineyards is the entry level tier at Mission Hill. This is a tasty, if uncomplicated, blend with aromas and flavours of cherry, blackberry and black currant. 88. Mission Hill Reserve Merlot 2014 ($25.99). This is a bold red, with aromas of cassis and vanilla. It has a concentrated texture with firm tannins; the wine needs decanting but will age well. It has flavours of black currant and black cherry with a note of cedar and tobacco on the finish. 91. Mission Hill Terroir Collection Pinot Noir 2015 ($Sold out). The grapes for this come from what is now called Fritzi’s Vineyard on Mission Hill Road. Only 350 cases were made and offered primarily to the winery’s wine club. It was also submitted to a recent Decanter wine competition, where it won a gold medal. The wine is dark and full-bodied for a Pinot Noir, with aromas and flavours of cherry and raspberry. 92. Mission Hill Terroir Collection Cabernet Franc 2015 ($50). The wine begins with aromas of cassis, blackberry and mulberry. Quite concentrated, it delivers flavours of black cherry, leather and chocolate. The finish is very long. This wine makes a profound statement on behalf of the variety. 93. Mission Hill Oculus 2014 ($135). The blend is 50% Merlot, 24% Cabernet Franc, 21% Cabernet Sauvignon and 5% Petit Verdot, with most of the fruit coming from Vista’s Edge. Still to be released, this wine shows great harmony, with aromas and flavours of black currant and black cherry. There are notes of dark chocolate and leather on the finish. The power and structure of this wine will give it a long life – easily 15 years in a good cellar. 95. Quite remarkably, Bernardo Lucena, the technical director of Alvear S.A., makes a complete line of wines with this grape, from a dry white, a dry rosé, fino sherries and rich, tawny amontillado sherries. Several of those wines will be available for tasting (and purchase) at the Vancouver International Wine Festival in late February. Alvear is among the 39 Spanish wineries at the festival, where Spain and Portugal are the 2018 theme regions. Alvear is one of the oldest family-owned wineries in Spain. Fernando Gimenez Alvear, the current president and a winery principal at the festival, traces his predecessors back to Diego de Alvear y Escalera, once a tax collector in Cordobá. He established his winery in 1729 in Montilla, a community half an hour south of Cordobá. From small beginnings Alvear grew to be a dominant producer in Andalusía, especially after it began shipping its wines to Britain late in the 1700s. The family also produced several colourful descendants, notably Don Diego de Alvear y Ponce de León (1749-1830), who followed a military career before joining the family business. Initially, he spent 25 years as a military officer in Argentina, then a Spanish possession. When he returned to Spain to take up a new military posting, his wife and children followed on a different ship. They were lost when the ship was sunk by the British Navy. Don Diego remarried and fathered a second family. Clearly, he was not a man to hold grudges because his second wife was English. Don Diego is said to have left an illegitimate son, Carlos Maria de Alvear, in Argentina who took part in the successful uprising against Spain in 1815. The winery prospered under Don Diego and his heirs. They developed vineyards in the gently mountainous terroir around Montilla. In the town, the bodega’s burgeoning structures came to dominate the centre. Alvear money also built schools and other public buildings there. Today, Alvear has moved its winemaking facilities outside the city, closer to the vineyards, with modern stainless steel fermenters replacing the cement and earthenware vessels known as tinajas (below). The latter stand in bulbous ranks in one building of the historic bodega in the centre of Montilla. Still used for wine storage, the tinaja building is a leading attraction for the wine tour here. The wines, however, are the real attraction, whether one arranges a visit to the bodega or to the Alvear table at the wine festival. I visited the winery last October, at the end of vacation and tour of the great Moorish capitals of Andalusía – Granada, Cordobá and Seville. According to my hosts at Alvear, Cordobá “once was more sophisticated than London or Paris.” It retains a good deal of its historic charm, along with the mosque/cathedral which is one of the finest examples of Moorish architecture in Spain. It was a bonus to find the Montilla-Moriles wine region south of Cordobá and to be able to arrange a visit to Alvear. Travellers with more time can arrange a tour of several wineries through www.bacustravel.com, an agency recommended on the Alvear web site. The tasting room at the Alvear bodega is in another set of rooms redolent with history. A portrait of Don Diego, splendid in his military uniform, hangs on one wall. Here are notes on Alvear wines. Some will be available at the wine festival; others are listed at various wine stores. Prices shown for those listed in the BC Liquor Stores. Given how long these wines are aged, the prices are astonishingly low. Wine festival wines are marked **. **Marqués De La Sierra 2016. A wine like this was totally unexpected in Pedro Ximénez country. It is a crisp and fresh dry white, with notes of apple and spice in the aromas and flavours. Night harvest of the grapes and fermentation at low temperatures preserves the freshness of the fruit. This wine is offered just at trade tastings at the festival. 88. Vino De Pueblo 2016. This is a rosé from Pedro Ximénez grapes fermented and aged in tinajas. A dry wine with good weight on the palate, it mingles flavours of apples and almonds. 88. **Alvear Fino ($19.99). This is an excellent dry sherry-style wine. It is unfortified because the Pedro Ximénez grapes are ripe enough to produce 15% alcohol. The wine spends four years under flor yeast in American oak barrels and is blended in the solera method. The flavours and aromas mingle notes of rancio with almonds. 90. Alvear Fino Capataz. This wine has been aged for 10 years under flor yeast in oak butts and verges on the style of Amontillado. Tawny in hue, it has richly concentrated flavours, with a long finish that is still dry. 90. Alvear Amontillado Criadera A ($26.99 for 375 ml). This is also a fino aged 12 years under flor. Tawny in hue, the wine has notes of almond on the nose and the palate. The minerality of the terroir comes through on the finish. This is a cerebral after-dinner wine. 91. Amontillado Carlos VII. This wine has been aged 15 years in oak, partly under flor yeast. Amber in colour, it has fruity aromas and flavours. Full-bodied, it is a very complex wine. 92. Alvear Solera Fundación Amontillado. One of the rarest wines made by Alvear (current release was 318 bottles), the wine is said to include some solera wines from the foundation of the winery. Perhaps that is just an eye dropper of 300-year-old wine. This is a rich, even unctuous, wine with 20% alcohol, achieved naturally. It reminded me of a fine single malt scotch. 94. **Alvear Medium Dry ($19.99). This is a blend of fino and oloroso style wines, slightly sweetened and aged six years in a solera system of white American oak. A tawny wines, it has fruity flavours and an off-dry finish. The texture is silky. 91. Alvear Oloroso Asunción. This is a fortified wine from Pedro Ximénez grapes. The wine was aged for more than 10 years in oak barrels, without flor. 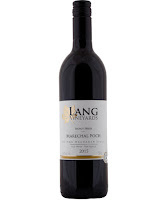 Dark tawny in hue, the wine has rich notes of figs and raisins, with a lingering but moderate sweetness. 92. Alvear Pedro Ximénez Añada ($29.49 for 375 ml). This is a young Pedro Ximénez wine from a single vintage. The grapes are air dried on mats in the sun to concentrate the sugar and flavours. After fermentation, the wine is aged about a year in earthenware tinajas. This is a tour de force: golden tawny in colour, with flavours of raisins and marmalade and an exceptionally long sweet finish. Robert Parker scored this wine 100 points and I would not argue. 100. **Alvear Pedro Ximenez Solera 1927 ($29.49 for 375 ml). Once again, the grapes are dried on matts in the sun. The grapes are then pressed and alcohol is added immediately to the sweet juice. The blend is assembled from a solera, presumably with a thimble full of 1927. Dark in color and unctuous on the palate, the wine is dense, with flavours of figs, licorice, toffee, molasses and chocolate. 95. Alvear Pedro Ximenez Solera 1910. Incredibly intense and concentrated, this dark, silky, sweet wine incorporates wine from the oldest Pedro Ximénez solera in the winery. Think of drinking licorice and raisin pie, if such a thing exists. 96. Recently, I visited Lang Vineyards on cold and snowy morning in November. Predictably, there were no other consumers in the wine shop – but then, most of the wines were sold out after a good sales season. Fans of Lang need not fret. Winemaker Robert Thielicke was putting the final touches on the 2017 vintage, one that most Okanagan vintners rate as surprisingly good. Lang has long been a proponent of Maréchal Foch, a French hybrid that once was ubiquitous in Okanagan vineyards – and also was controversial. George Heiss, the former owner of Gray Monk Estate Winery, famously quipped that the vine was not exported from France. “It was deported,” George said. French plant breeder Eugene Kuhlmann (1858-1932) was the creator of this and of several other hybrid varieties, most of which now have been phased out of vineyards in France and North America. The variety is named for a French hero of World War One, Marshall Ferdinand Foch, commander in chief of the Allied armies in 1918. Like the other hybridizers of his day, Kuhlmann created new varieties by crossing native American vines with European vines in a search for productive and disease-resistant varieties. Georges Masson, an Ontario wine writer in the 1970s, wrote that Foch “makes a good wine resembling a French Burgundy.” The comparison to Burgundy, which is made with Pinot Noir, may have been inspired by the vaguely similar earthy aromas and smoky note in the finish of a Maréchal Foch wine. Other flavours include plums and spice. Masson thought the wine aged well. It depends on the style: most are made to be enjoyed when released with only a rare one crafted for long-term cellaring. There are two reasons, I believe, that Foch got a bad name. First, like almost all other red varietals in the Okanagan in the 1970s and 1980s, it was generally overcropped. Many red wines of that era were thin and vegetal. That does not describe a properly grown Foch. Secondly, Foch is a challenging grape to ferment. Early in his winemaking career, Robert Thielicke worked with Dr. Alan Marks, then the winemaker at Mr. Boucherie Estate Winery. Günter Lang, the founder and former owner of Lang Vineyards, was in the habit of leaving some residual sugar in the Foch wines. The style, soft and juicy, had a lot of fans but Robert has recognized that palates are changing. The Lang Foch is still soft and juicy but no longer noticeably sweet. It might be a stretch to suggest Foch might emerge as a “noble” wine. But it has a role as a serviceable every day red, with enough upside to produce the occasional reserve tier red. Since there still are some Lang wines in the market, here are notes of the current releases. 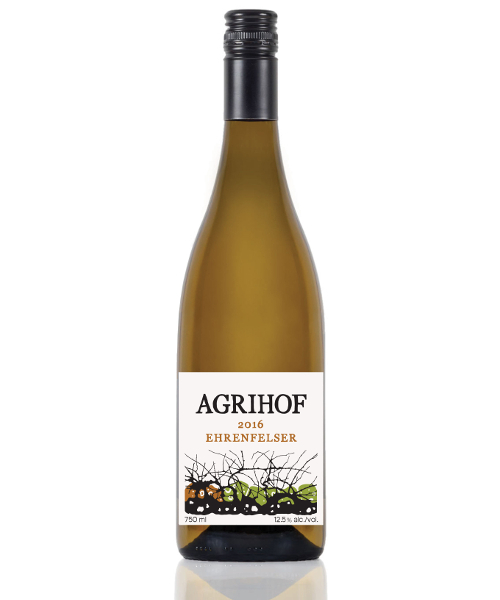 Agrihof Ehrenfelser 2016 ($24.99 for 100 cases). This wine, sold under Lang’s license, is made by Robert Thielicke. The label is inspired by Italian and German words signifying artisanal agriculture. This is a crisp, dry white with complex aromas and flavours of quince. 90. 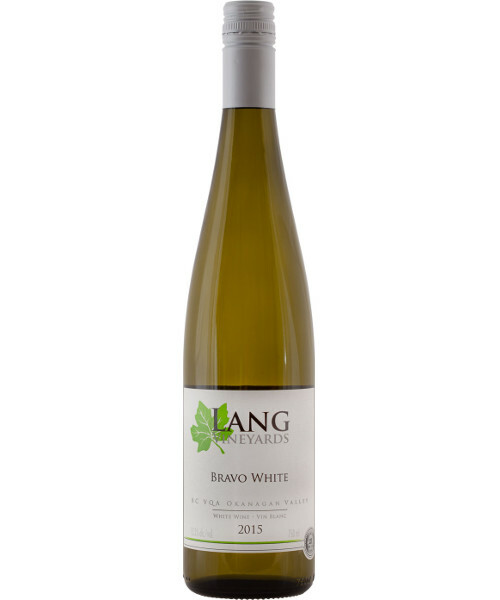 Lang Bravo White 2016 ($18.99). This is an aromatic blend of Riesling, Gewürztraminer, Schönburger and Muscat. Fresh and tangy, the wine begins with aromas of citrus with floral notes. On the palate, there are flavours of apple, pear and melon. 90. 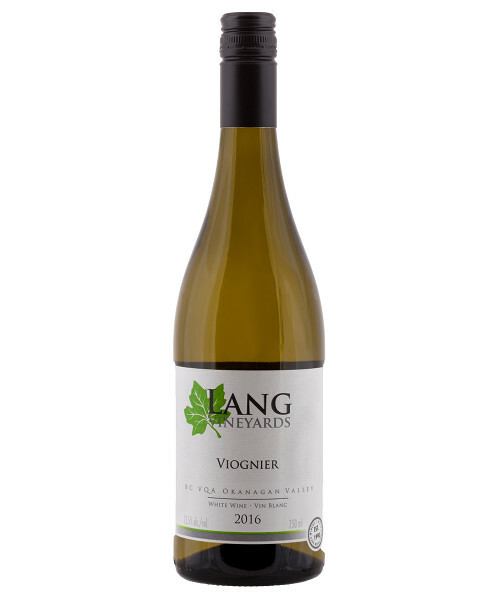 Lang Viognier 2016 ($24.99). The wine is made with grapes from the Naramata Bench. It begins with tropical fruit aromas (pineapple, apricot), leading to a rich texture and flavours of apple, peach and pineapple. 91. Lang Sparkling Rosé 2016 ($21.99). This is a blend of Pinot Noir and Pinot Meunier. The wine derived its appealing colour from three days of skin contact. The fine bubbles result from forced carbonation. The wine is crisp, with aromas and flavours of strawberry and raspberry. It looks and tastes festive but would also flatter a brunch. 90. Lang Cabernet Franc 2015 ($24.99 for 100 cases). Made with grapes from Oliver, this is a bright, brambly wine with aromas and flavours of cherry and blackberry. 90. 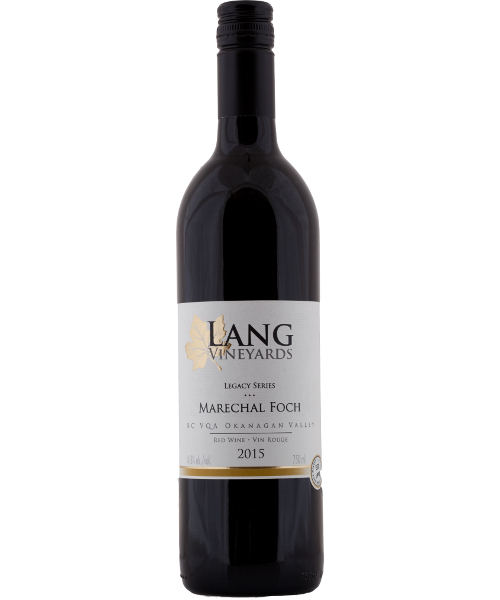 Lang Maréchal Foch 2015 ($22 for 1,000 cases). 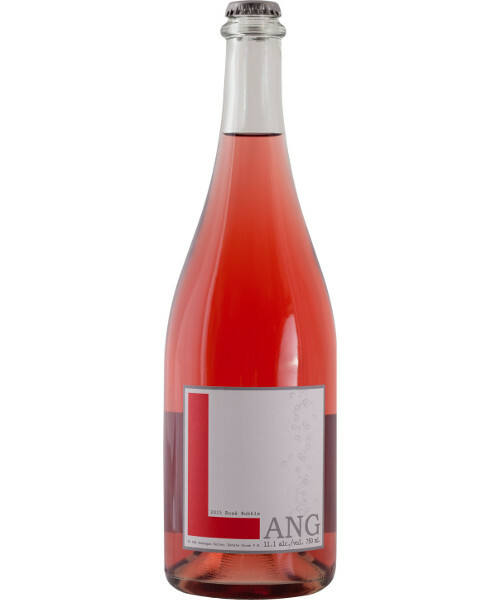 This is the signature red at Lang Vineyards – and it is nearly sold out. It is a juicy red with soft tannins and with aromas and flavours of cherry and plum. 88. Lang Maréchal Foch 2015 Legacy Series ($25 for 75 cases). This wine was aged 18 months in oak. It has aromas of black cherry and plum which are echoed on the rich palate, along with notes of chocolate and vanilla. 91. Last weekend at the winter wine festival at the Sun Peaks Resort, I was able to lead a seminar of iconic wines of British Columbia. The seminar was inspired by my 2017 book, Icon: Flagship Wines from British Columbia’s Best Wineries. The book gives detailed comments on more than 100 wineries and their top wines. In December, the Gourmand World Cookbook Awards announced that the book has been judged the best Canadian wine book in 2017. The ten wines that I presented were, with one exception, from wineries participating in other events as well at the festival. 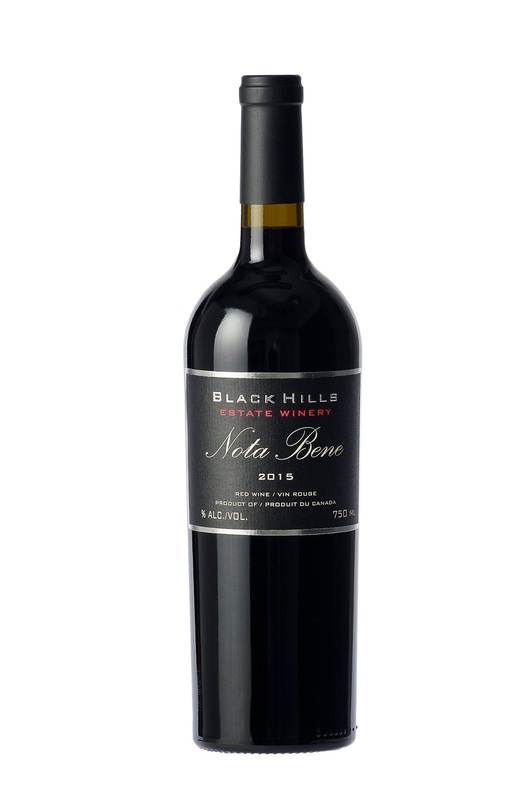 The exception was Black Hills Estate Winery which generously dipped into its library to provide from Nota Bene 2015. One can hardly talk about iconic Okanagan wines without talking about that wine. When the first vintage of Nota Bene (1999) was released in 2001, it developed a remarkable cult following almost immediately. The reason, at least in my view, was that it stood out from the small handful of red Bordeaux blends then being produced in the Okanagan. Sixteen vintages later, the wine retains its cult status, even though there are numerous other premium red wines available. I think the recent vintages of Note Bene also are significantly better than earlier ones (as delicious as they were). That reflects excellent viticulture, a well-equipped winery and a decision in 2012 to increase the barrel aging of the wine from 12 months to 16 months. The extra barrel time has produced a richer wine with a polished texture. Last summer, Andrew Peller Ltd. paid a reported $30 million to acquire Black Hills. That was certainly generous but in wine, as in sports, you need to pay up to add a super star to the team. If Nota Bene was a star in last week’s Sun Peaks seminar, the other nine wines easily held the attention of the guests during the two-hour, sold-out tasting. I should note that the seminar was sponsored by Tastefull Excursions, the leading Kamloops wine touring company that also provides transport services for Sun Peaks Resort. One object of my book was to identify wines that can be laid down in a collector’s wine cellar. Thus, the book includes a number of Pinot Noirs, Rieslings, sparkling wines and Chardonnays as well as red blends, all of them age-worthy. Unfortunately, I overlooked Viognier and white Rhone blends, which age moderately well. I included neither Pinot Gris nor Sauvignon Blanc, usually because the producers had more impressive flagship wines but also these whites typically are best with two years. Pinot Noir, which is becoming British Columbia’s signature red grape, was represented by two producers. 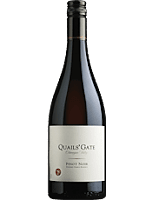 Quails’ Gate Stewart Family Reserve Pinot Noir 2015 ($50) is the reserve Pinot from a winery that has been growing the variety since 1975. Nikki Callaway, the current winemaker, makes the wine with delicacy and restraint. Privato Woodward Collection Tesoro Pinot Noir 2014 ($34.69) is from a winery in Kamloops operated by John and Debbie Woodward. While they have an estate vineyard, they source premium Pinot Noir grapes in the north Okanagan. This is a full-bodied wine with a lot of power for a Pinot – and a lot of awards. The other wines all were red blends, almost always with Cabernet Sauvignon, Merlot and Cabernet Franc; occasionally also with Petit Verdot and Malbec. Black Hills Nota Bene 2015 ($59.90) has already been discussed. Covert Farms Amicitia 2014 ($29.80), the great bargain of the tasting, comes from the vineyard at Covert Farms north of Oliver. The winery does not label the wine organic but the owners strictly follow organic practices in the vineyard. This particular vintage also includes three per cent of Syrah. Culmina Hypothesis 2013 ($46) is the third vintage of this blend from Culmina Family Estate Winery, operated by Donald and Elaine Triggs, and daughter Sara. This is 38% Merlot, 36% Cabernet Franc and 26% Cabernet Sauvignon. Subsequent vintages will include Petit Verdot and Malbec. This wine is showing increasing complexity with increasing vine age in the Culmina vineyard. Desert Hills Mirage 2012 ($36.90) is now sold out. One of the most mature of the blends offered in the seminar, it showed the benefit of laying these reds in the cellar for a few years. This blend includes five Bordeaux varietals. Fort Berens Red Gold 2015 ($44.99). This is a new premium red from Fort Berens Estate Winery in Lillooet. The wine won gold at the Intervin competition and scored 94 points from me. It is a blend of 43% Cabernet Franc, 31% Cabernet Sauvignon and 26% Merlot. Its appeal includes bright, brambly flavours. Hester Creek The Judge 2014 ($45) is a blend of Merlot, Cabernet Sauvignon and Cabernet Franc. The winery began making this premium blend in 2007. The wine has always been remarkable for the richness of its fruit and texture. That reflects grapes from an excellent vineyard fermented with cutting edge technology and then aged in barrel for 26 months. Given the quality, I have always considered that the wine underpriced. Don’t tell the winery I said so. Moon Curser Dead of Night 2014 ($37.30). This wine, from Moon Curser Vineyards in Osoyoos, is a blend of 50% Syrah and 50% Tannat. Moon Curser is the only winery in the Okanagan with Tannat in its vineyard. Jancis Robinson has described this as a “powerful, characterful, often tannic variety at home in south-west France and Uruguay but becoming global.” A few years ago, Moon Curser’s Chris Tolley hit upon this brilliant blend. The Syrah adds flesh to the bones of Tannat that makes the wine drinkable on release. It has the structure to age at least 15 years, however. Noble Ridge Vineyard and Winery at Okanagan Falls may have stolen the show at the tasting with two its King’s Ransom Meritage wines from arguably the two finest vintages so far in the Okanagan. Noble Ridge King’s Ransom Meritage 2009 ($65), which is no longer available, is 50% Cabernet Sauvignon and 50% Merlot. Noble Ridge King’s Ransom Meritage 2014 ($69.90) – some of the 130 cases still may be available – is a blend of 55% Cabernet Sauvignon, 35% Merlot, with small amounts Cabernet France and Malbec. These wines were shown last in the tasting so that the guests could compare the vintages. Both wines are delicious, full-bodied with rich dark fruit and a hint of toast and vanilla from 24 months barrel aging. The bottom line? One of the guests said he had not previously been a regular consumer of British Columbia wines. “This has changed my mind,” he said. Brenda Hetman and Layne Robert Craig, her husband, have injected refreshing energy into Comox-based 40 Knots Vineyard & Estate Winery since they acquired it in July, 2014. The initial developer of this winery, Bill Hamilton, found himself overwhelmed by the wine business. The many demands of winegrowing, from pruning a large vineyard to selling a good volume of wine, even if sound, are daunting. Brenda and Layne, who came from outside the wine business, are younger. Their enthusiasm seems to have staying power. A recent email from the winery set out an ambitious program of events at the winery during the winter. Beginning January 13, there are mixology classes every Saturday to mid February; and there is a Valentine’s fashion show on February 8. Check the winery web site for times and ticket prices. Hats off to the owners for not leaving the winery dark over winter. The wines reflect the terroir of a vineyard whose soil is glacial till. It is literally meters from the Salish Sea. “With the assistance of winemaker Michael Bartier, we craft wines distinctly shaped by this windswept, sun-soaked vineyard in which we farm using traditional methods,” Brenda writes. Increasingly, they have adopted organic and biodynamic farming practices. “We do not irrigate our vines,” Brenda continues. “We use the line only to get our liquid kelp out in the early summer.” Not irrigating forces the vines to send roots deeper into the soil. It also prevents the vines from being overly vigorous. What struck me in tasting the wines reviewed below was this: while the alcohol levels are generally moderate, the flavours are fully ripe. That is a sign of excellent viticulture. Vancouver Island vineyards typically have lower heat units that those of the Okanagan and Similkameen valleys. Varietals like Syrah and Merlot will not ripen on the island, no matter how good the viticulture. Yet consumers also want big wines. 40 Knots, along with some other island wineries, source those late ripening grapes in the Okanagan. Language on the label general makes it clear when grapes come in off the island. The 40 Knots vineyard succeeds with earlier ripening varieties, including Schönburger, Pinot Gris and Pinot Noir. One of the most successful is Siegerrebe. The wines are lively and fruity. The only problem is some consumers have trouble pronouncing the name of the grape. It is Zee-ger-eeb-eh. 40 Knots thought they had resolved the problem by calling their wine Ziggy, only to run into a strange trademark fight. Ziggy is also the name of their vineyard dog. Since last February, Loblaws Companies Ltd. has been objecting to 40 Knots using Ziggy on a wine label. Loblaws apparently has five Ziggy trademarks related to their delicatessen. 40 Knots is trying to have them expunged on the grounds they have not been used. Loblaws has until early in January to file evidence they have been used. It may seem preposterous that consumers would confuse a wine from 40 Knots with a Loblaws deli. But big companies typically defend trademarks. If they don’t, there is always a risk that other businesses will begin using the trademarks and the trademarks lose their individual value. Good luck to 40 Knots. However, my advice to consumers who like this excellent wine is learn to pronounce the name of the variety. 40 Knots Ziggy Siegerrebe 2016 ($22.90). Siegerrebe, an under-appreciated white variety, is a godsend for the cooler vineyards on Vancouver Island and the Fraser Valley. An early ripening aromatic grape, Siegerrebe invariably delivers exuberant tropical aromas and flavours. This wine is an example: aromas and flavours of spice, grapefruit and lime with a crisp, dry finish. 90. 40 Knots Unoaked Chardonnay 2016 ($22.90 for 414 cases). The grapes for this wine were grown, and very well grown, in the Comox Valley. The alcohol is just 11.9% but the flavours are ripe. 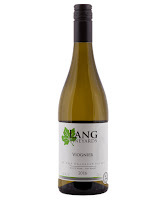 Light, dry and refreshing, this wine has aromas and flavours of apples and pineapples. It is well balanced with a tangy finish. 90. 40 Knots White Seas 2016 ($19.90 for 545 cases). There are six white varietals, including Pinot Gris, in this blend. The wine had a long, cool fermentation in stainless steel to preserve the fruit basket of flavours (apple, pear, lime, lemon). The finish is crisp and refreshing. 90. 40 Knots L’Orange 2016 ($36.90 for 126 cases). This is a blend of Schönburger and Pinot Gris, fermented and aged on the skins in a terracotta amphora. The wine is exotic, with aromas of coriander and with flavours of orange zest, oriental spices and even a hint of tobacco. It is dry and crisp on the finish. I am of two minds about orange wines but this wine’s clean flavours are quite food friendly. 90. 40 Knots Rosé 2016 ($22.90 for 567 cases). This wine has an appealing pink hue, leading to aromas and flavours of cherry and cranberry. The wine is lively and refreshing on the palate and crisply dry on the finish. 90. 40 Knots Pinot Noir 2016 ($29.90 for 398 cases). The low alcohol (10.6%) gives this estate-grown Pinot Noir a refreshing lightness. It has aromas and flavours of cherry mingled with a peppery spice. 88. 40 Knots Stall Speed Merlot 2016 ($29.90). Stall Speed is the tag used when the winery purchases Okanagan varietals that cannot be grown successfully on Vancouver Island. The grapes for this wine are from the Cerquiera Vineyard on the Black Sage Bench farmed by Michael Bartier, who is also the consulting winemaker for 40 Knots. This is a big, ripe wine with aromas and flavours of black cherry and plum. There is a hint of licorice on the finish. 90. 40 Knots Extra-Brut 2014 ($36.90). This traditional method sparkling wine spent two years on the lees before being disgorged. It has the classic biscuit notes of lees aging, along with lemony aromas and flavours. Racy acidity gives this a tart finish. I would suggest three years on the lees for the next vintage would better soften the acidity. 88. 40 Knots Safe Haven 2016 ($21.90 for 350 ml). This is a fortified Maréchal Foch with grapes, the winery says, from one of the oldest Foch plantings on Vancouver Island. The aroma of chocolate, fig and cherry is already evident when the bottle is opened. In the glass, the colour is deep. On the palate, the wine is luscious with more chocolate and fig flavours and with soft tannins. The finish goes on and on. 91. Kelowna’s Mirabel Vineyards has just released a remarkably elegant Chardonnay, rounding out a Burgundian-inspired portfolio that began with the release of a premium Pinot Noir late in 2016. A portion of both of those wines has been aged in new François Frères oak barrels, the cooperage of choice for many Pinot Noir and Chardonnay producers. Except for Okanagan Crush Pad in Summerland, whose winemaker, Matt Dumayne, makes the wines for Mirabel. Most Crush Pad wines are fermented and aged in concrete. Doug and Dawn Reimer, the owners of Mirabel, insisted that their wines be aged in a combination of oak and stainless steel. Then, with a chuckle, he admits that concrete tanks, or the equivalent, have been used in making wine at least since the Roman Empire. Over the past century, oak barrels and stainless steel have come to dominate winemaking, with concrete making a comeback only recently. Anthony von Mandl’s new Martin’s Lane Winery makes its exceptional $100 Pinot Noirs with a combination of stainless steel, concrete – and François Frères barrels. In my view, Doug Reimer, also a wine collector with an eclectic palate, is on the right path with his “old school” preference for some oak aging for his wines. Mirabel Vineyards came about because the Reimers, members of a leading Canadian trucking family, purchased East Kelowna property in 2005 to build their dream home. The property is on a sun-bathed slope above the Harvest Golf Course and, at the time, was an apple orchard. In 2006, they planted most of it with three clones of Pinot Noir. The final one and a half acres will be planted with Chardonnay in the spring of 2018. The 2016 Chardonnay, just being released, is produced with fruit purchased from a Naramata Bench vineyard. Mirabel will need to purchase grapes for several more vintages until the estate Chardonnay begins producing in three or four years. “As soon as our Chardonnay comes in, the wine will all be estate grown,” Dawn says. The portfolio will then also include a Pinot Noir rosé (the first was released in the summer of 2017) and a sparkling Pinot Noir. The 100-case cuvée for that was made in the 2017 vintage and will not be released for two years. By limiting itself to just estate-grown grapes, Mirabel will never be a large producer. The volume of the debut Pinot Noir was 237 cases; the Chardonnay was 185 cases; the rosé was 100 cases. Here is a note on the Chardonnay. Mirabel Chardonnay 2016 ($40). The aromas and flavours are rich and tropical, beginning with orange peel and buttery notes on the nose. The bright citrus flavours are supported subtly by toasty oak. Good acidity gives the wine a refreshing finish as well as the potential to develop in the cellar for the next five years. 93. The Pentâge winery, just south of Penticton, sometimes flies just below the radar because it seems to be hidden on a hillside overlooking Skaha Lake. It is worth figuring out how to find it, if only to see the massive barrel cellar that Paul Gardner and Julie Rennie carved from the rock. Paul also makes interesting wines. The 19 varieties he grows on two mountainside vineyards give him lots of blending opportunities. He crafts wines that invariably are full of flavour. For those who cannot find the winery, Pentâge last year launched a wine club, so that the wines will find the consumers. Here is an excerpt on the winery from John Schreiner’s Okanagan Wine Tour Guide. Pentâge Winery opened its tasting room only in 2011, eight years after opening the winery. The reason: it took Paul Gardner eleven years to plan and dig the massive 500 square-metre (5,500 square foot) cave from the crown of hard rock commanding this vineyard’s million-dollar view of Skaha Lake. Cool and spacious, this cave accommodates barrels and tanks of wine in a feat of engineering unlike anything else in the Okanagan, except perhaps the Mission Hill cellar. You can even appreciate the ambiance without a tour by peering through the gigantic glass doors at the front of the cave. This was a derelict orchard when Paul and Julie Rennie, his wife, were so enchanted with the property in 1996 that they decided to change careers and planted grapes three years later. Julie, the Scots-born daughter of a marine engineer, was executive assistant to a well-known Vancouver financier. Paul, born in Singapore in 1961, spent 20 years as a marine engineer before tiring of going to sea. “I got caught up in winemaking in the early ‘90s,” he remembers. Now, he spends most of his time in the winery’s two Skaha Bench vineyards, which total 6.5 hectares (16 acres), growing so many varieties – including even Zinfandel - that one vineyard is called the Dirty Dozen. “I would still rather make small lots of interesting wine than big tanks full of wine,” he says. An example of an eccentric but delicious wine is the 2011 Cabernet Franc Appassimento Style where he mimicked Amarone by drying the grapes 58 days before crushing them. Here are notes on recent releases. Pentâge Fizz Blanc 2016 ($19.90). This delightful lightly sparkling wine (sealed with a screw cap) blends Pinot Gris, Chardonnay, Viognier, Gewürztraminer and Muscat. It is crisp and refreshing with flavours of apple, pear and peach. 90. Pentâge Chardonnay 2013 ($21.90). This barrel-fermented Chardonnay has a Chablis-like freshness, surprising and delightful in a wine that is five years old. The wine has citrus aromas and flavours of apple and citrus. Bright acidity has given this wine the remarkable longevity of a good white Burgundy. 91. Pentâge Hiatus 2013 ($22.90). This is a blend of 37% Cabernet Sauvignon, 32% Cabernet Franc, 17% Merlot, 10% Malbec, 2% Petit Verdot and 2% Tempranillo. This complex blend is eminently drinkable. It begins with aromas of cassis, cherry and vanilla. On the palate, there are flavours of cherry and plum with a peppery spice on the finish. 90. Pentâge GSM 2013 ($29.90). This is 40% Grenache, 40% Syrah and 20% Mourvedre. It begins with aromas of black cherries and plum mingled with white pepper. This is echoed on the palate, along with notes of leather and licorice. 91. Pentâge Syrah 2013 ($25.90). Imagine drinking a Christmas fruitcake that finishes dry. This wine begins with aromas of plum, black pepper and vanilla, followed by flavours of rich, dark fruit punctuated with black pepper on the finish. 91. A few years ago, Kathy Malone, the winemaker at Hillside Cellars, decided to graft Muscat Ottonel onto the trunks of the winery’s one row of Cabernet Sauvignon. The row had always underperformed, likely because it was on the same irrigation system as the adjoining rows of Muscat. The Cabernet Sauvignon was simply being over-watered. The attempt to graft Muscat onto the Cabernet Sauvignon was a complete failure. “Thank God, they failed,” Kathy says now. At the time that happened, she learned that the row was possibly the oldest Cabernet Sauvignon in the Okanagan. She has allowed the Cabernet Sauvignon to regenerate. Today, Hillside is owned by a partnership led by Duncan McCowan. But this Naramata Road property has a long and colourful history. It was an orchard in 1979 when it was purchased by two Czech immigrants, Vera and Bohumir Klokocka. Five years later, they began replacing the fruit trees with grape vines, including Muscat. The row of Cabernet Sauvignon was planted in the mid-1980s. If there is an older block, it might be in the Hester Creek vineyard, which was developed originally in 1968 by Joe Busnardo. An inveterate experiment with vines, he claimed to have planted as many as 128 different varieties. He could hardly have missed Cabernet Sauvignon. Hillside, however, was the first Okanagan winery to bottle a Cabernet Sauvignon varietal wine. That wine was one of the reasons that Sal D’Angelo established D’Angelo Estate Winery in 2007, not far from Hillside. At the time, Sal also operated a winery near Windsor in Ontario. In 1985, he had begun vacationing in the Okanagan because the climate was beneficial to his health. One summer, having met Vera, he brought along a bottle of his Ontario red wine while asserting that the Okanagan was not growing good reds. She disputed that by opening a bottle of Hillside Cabernet Sauvignon. It changed Sal’s and he bought vineyard property on the Naramata Bench in 2004. He has since sold the Ontario winery. Two of the varieties planted by Vera and Bohumir still are among Hillside’s flagship wines. The Muscat Ottonel, made in a dry aromatic style, is snapped up quickly on release. In recent years, Hillside has planted more of this variety. There is also a Vera and Bohumir story about that variety. The owner of a small vineyard from which they sourced cuttings for their plants identified variety as Pinot Blanc. The Klokockas, who had formerly worked for the Czech national airline, did not know much viticulture, but enough to know the grapes tasted nothing like Pinot Blanc. They settled on the name, Klevner, because it tasted like an aromatic German white with a variety of names. Several early releases of Hillside Muscat were labelled as Klevner until, in 1992, a visiting grape expert from France identified the grape correctly. After Bohumir died in 1995, Vera sold the winery. She currently lives in Nova Scotia where, with cuttings from Hillside, she is planting some Muscat Ottonel. Gamay is another variety planted initially by Vera and Bohumir. There is a legacy block near the winery. Hillside also buys Gamay and Pinot Noir from another grower on the Naramata Bench. A decade or so ago, Hillside was buying grapes from other regions in the Okanagan. Since Kathy Malone moved to Hillside in 2008 from Mission Hill Family Estate, Hillside has converted to using Naramata Bench grapes exclusively. Hillside Viognier Reserve 2016 ($22 for 341 cases). Twenty-nine percent of this was barrel-fermented and aged five months in barrel. The remainder was fermented in stainless steel. The portions were then blended. The wine begins with aromas of citrus and green apple which are echoed on the palate. There is also a good spine of minerals. 90. Hillside Pinot Gris Reserve 2016 ($22 for 329 cases). Fifty-one percent was fermented in Tokaj and Eastern European barrels (17% new). This was combined after six months with the portion that was fermented in stainless steel. The wine begins with aromas of spice and pear, leading to tropical fruit, pear and vanilla on a rich palate. 91. Hillside Muscat Ottonel 2016 ($22 for 830 cases). This wine won a double gold and was best of class at this year’s Cascadia Wine Competition. It begins with aromas of rose petals and spice. The flavours are surprisingly intense, with notes of grapefruit mingled with spice. The finish, which is quite persistent, is dry. 92. Hillside Pinot Noir 2014 ($22 for 495 cases). This wine, aged eight months in French oak (20% new), has aromas and flavours of cherry and raspberry. An earthy forest floor spice on the finish adds complexity. 90. Hillside Gamay Noir 2014 ($22 for 378 cases). This wine was aged eight months in French (27% new) and Hungarian barrels. It has aromas of raspberry and cherry with a hint of spice and white pepper. The fruit is echoed on the silky palate and on the lingering finish. 92. Hillside Merlot Cabernet Franc 2013 ($24 for 399 cases). This wine, which is 51% Merlot and 49% Cabernet Franc, begins with brambly aromas (blackberry, cranberry) and delivers flavours of plum and black currant. The wine has been aged in barrel for 13 months. 90. Hillside Cabernet Franc 2015 ($26 for 174 cases). This wine is available exclusively to members of Hillside’s wine club. The wine begins with aromas of raspberry and cherry leading to flavours of blackberry and cherry. 91. Hillside Cabernet Sauvignon Howe Vineyard 2014 ($34 for 186 cases). This is also a wine club exclusive. Aromas of cassis and sweet red fruit jump from the glass. On the palate, there are flavours of cassis, cherry and dark chocolate. The firm structure signals this is a wine for aging. 92. Hillside Mosaic 2013 ($44). This is a blend of 38% Merlot, 25% Malbec, 23% Cabernet Sauvignon, 11% Cabernet Franc and 3% Petit Verdot. The wine was aged 17 months in small French barrels (38% new). This is a complex wine with the potential to age at least 10 years. It begins with aromas of cassis and vanilla. On the palate, there are flavours of cherry, plum, cedar and chocolate. 93. Hillside Soirée en Blanc NV ($40 for 500 ml). Only 33 cases were made of this fortified Muscat Ottonel; it is only available in the wine shop. An interesting wine, it tastes like a Muscat grappa. 90. Hillside Soirée NV ($40 for 500 ml). This is a fortified (Port style) wine anchored around Syrah and Merlot. The winery has developed a solera style for this wine, meaning it is a blend of multiple vintages. It is as tasty as a good fruit cake. 92.